The claim of being “the most beautiful Periodic Table Products in the world” may sound grand(iose), but in this case we think it is justified. Both the book and the iPad app have received widespread praise from scientists and artists alike. Of the various products, though, our favorite is the card deck. The gorgeous photography paired with the wealth of technical-but-succinct data on each card makes looking at the card almost as interesting as if we were actually examining the element. 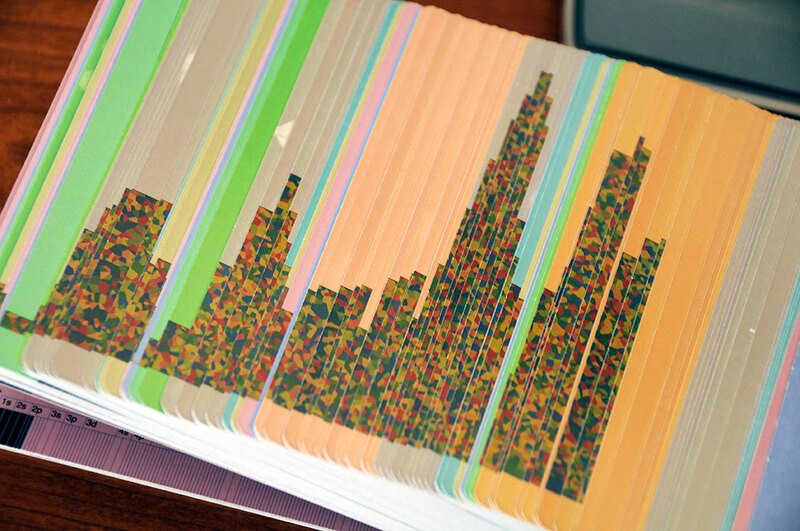 The individual cards of the deck, when combined and stacked in certain orders (density, melting points, etc…), can reveal additional information not easily deduced separately. There are actually many different ways of arranging and presenting the elements, you don’t have to stick to Dmitri Medeleev’s 1869 version (the standard presentation). The cards are color coded so it is easy to lay them out in different configurations (standard, wide-form, Scerri, etc…). When laid out side by side, the cards form a complete periodic table over 7 feet wide! 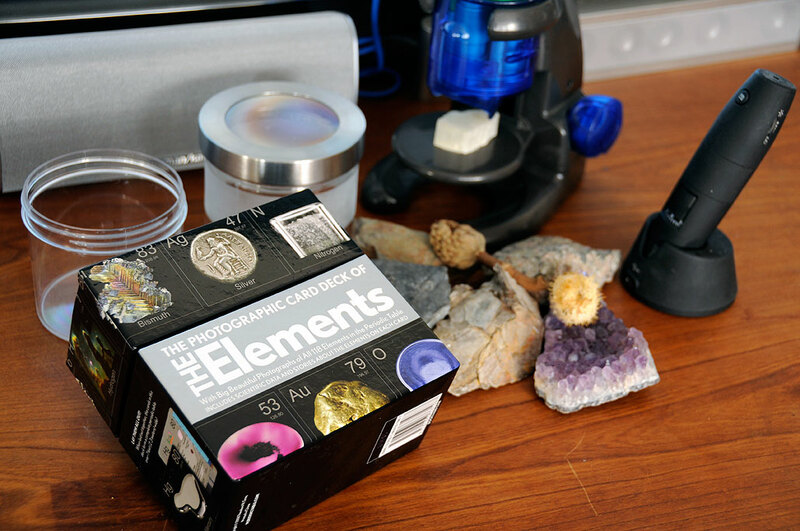 The Photographic Card Deck of The Elements is a great item for anyone with a curious mind. We are enjoying it for the great photos, the fascinating technical facts, and because it brings back fond memories of high school chemistry. However, we understand that not everyone was a giant geek in high school. Even if you were not, you have managed to read to the end of an article about the periodic table…so we are pretty certain you will find The Elements stimulating. As an added bonus for getting to the end of the article, we now offer you a gift of one of the best songs ever written (about the elements)….also available here in Japanese.